I like red, but I don't wear it often. In fact, I only wear it from December to February for the holidays and new year every year. Pearls, on the other hand, are one of my all-time favorites. You can spot me with them all year round but I definitely take advantage of the glitz and glam of the holiday season and wear them any chance I get! Here I am wearing a classic pearl necklace by Laguna Pearl. It is made of beautiful white Akoya pearls imported directly from the saltwaters of Japan, how awesome is that! 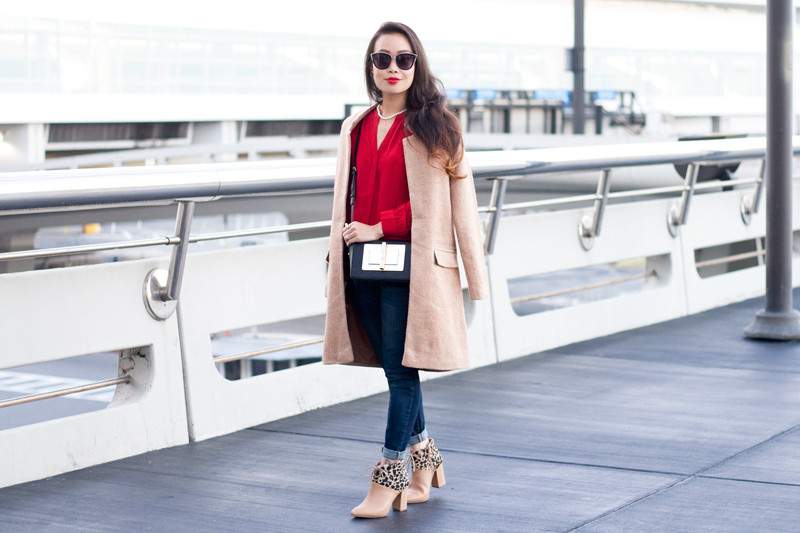 I paired it with a simple red blouse, skinny jeans, textured coat (which I can't stop wearing! 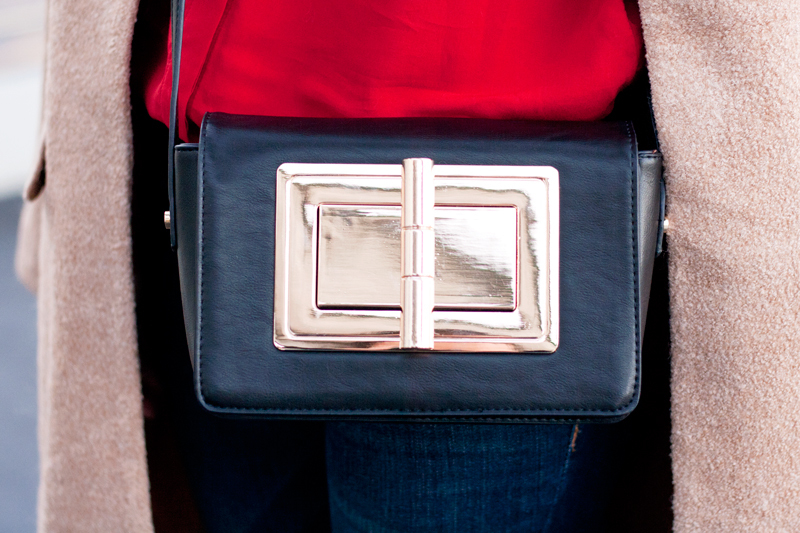 ), crossbody bag (with the most awesome giant twist lock), cat-eye sunnies, and my new favorite booties from Seychelles! 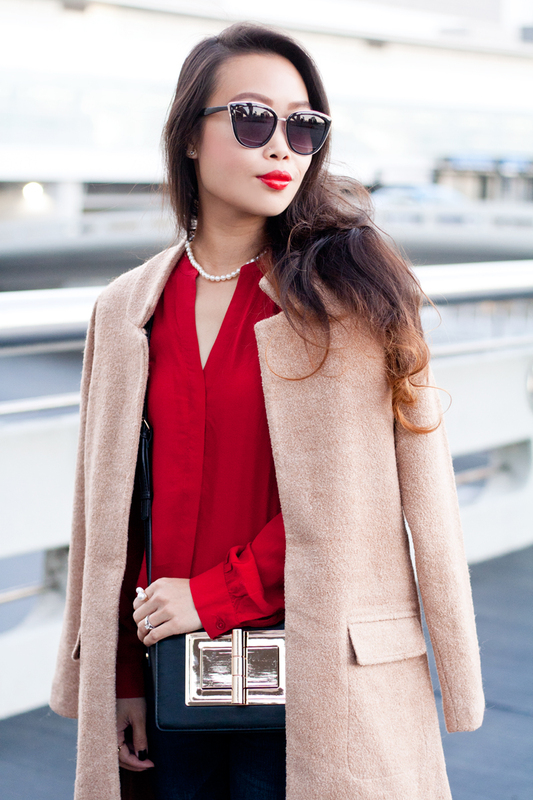 So that's how I dress up my outfit with pearls! How do you wear yours? 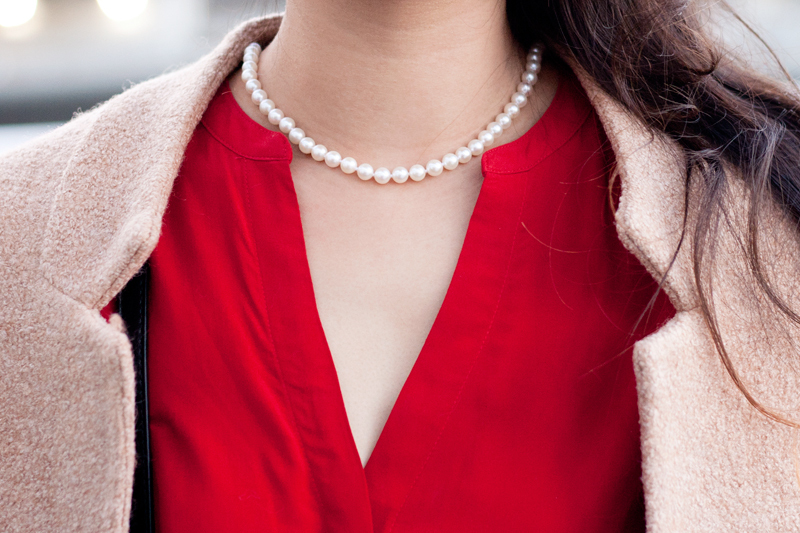 White Akoya pearl necklace c/o Laguna Pearl. 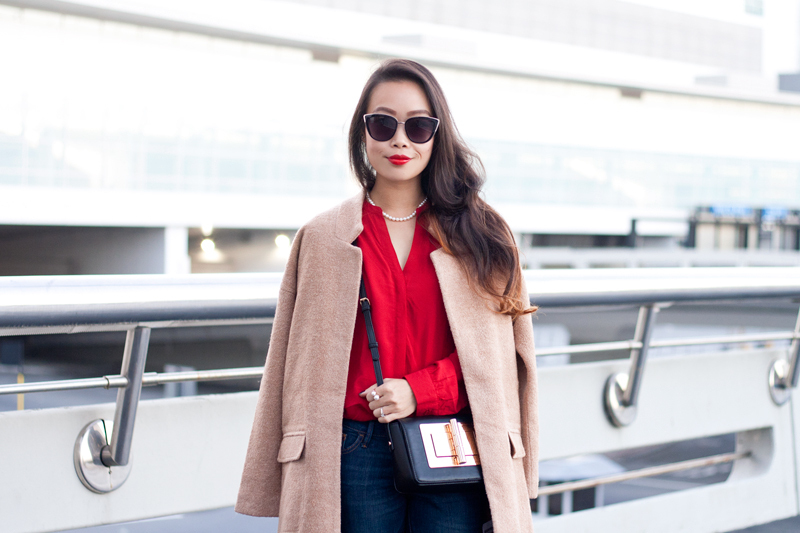 Red blouse from Old Navy. Rockstar mid rise skinny jeans from Old Navy. 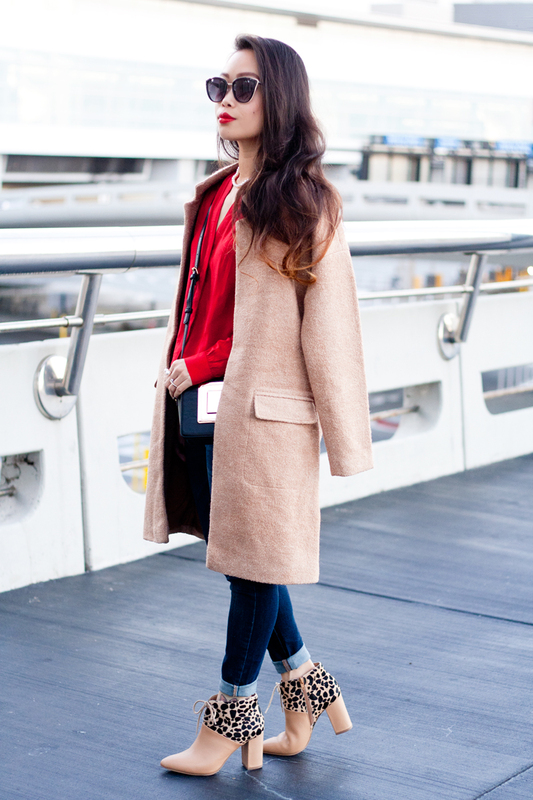 Camel textured coat (sold out, similar here) c/o F21. Nonchalant booties by Seychelles from 6PM.com. I wear a lot of red year round but especially often from December through February too. 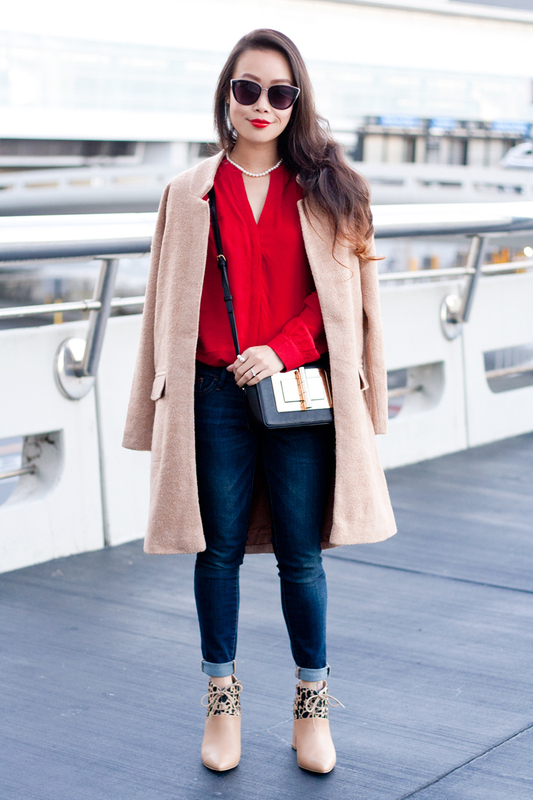 I really like this pretty red blouse and your fun ankle boots. This jacket is gorgeous too!